There's always a Patrick Eagar photo that sums it up succinctly. In this one, 28-year-old Bajan allrounder Collis King has swivelled artfully in the crease and now faces fine leg. The toe of his minimalist St Peter bat points skywards almost perfectly straight but a portion of the handle big enough to be clasped by most hands is exposed. That lower section of the bat grip is pregnant with a possibility you can sense even without the help of film; capless King, a lean and graceful figure wrapped in a thin layer of tough, sinewy muscle, has clearly just sent the ball hurtling to the boundary as if cracking a bullwhip. 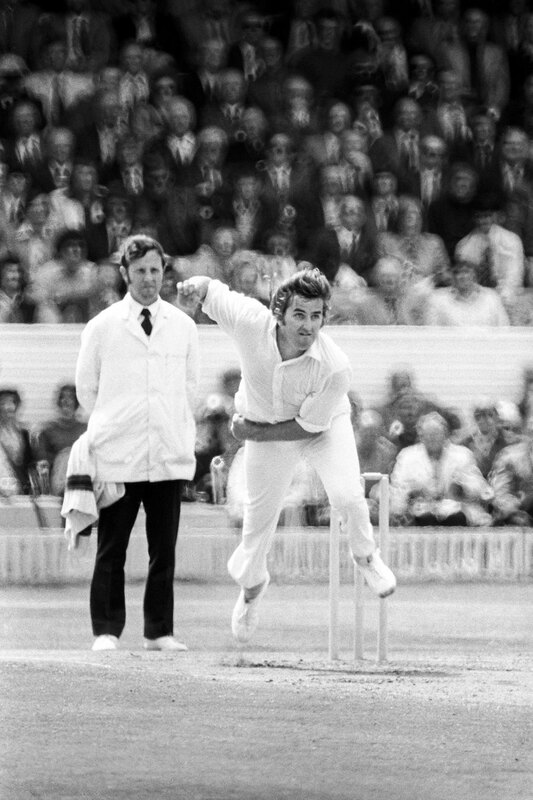 The version of this image that appeared in the August 1979 edition of Wisden Cricket Monthly is cropped so that the reader can see no one other than King; a soloist in isolation. The batsman's piercing stare intently follows the path of the ball towards the packed stands at Lord's. Take away the bat and stumps and he could be sitting on a park bench watching an exotic bird disappear into the horizon. The flight path of the ball can't be too dissimilar. 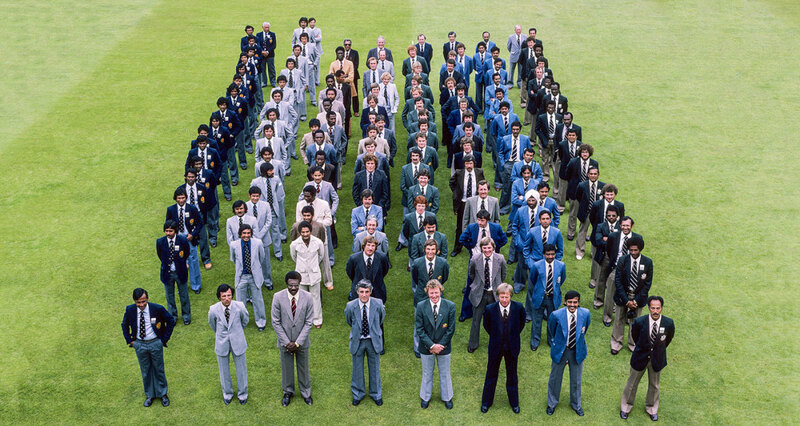 In another Eagar photograph from that 1979 Prudential World Cup, an aerial shot taken weeks before the tournament had started, the besuited squads are arranged in eight single file lines. Most wear a uniform of sorts: national blazers, matching ties and slacks. The West Indians, though, already a fearsome team on the field, look individuals in all senses other than cricket. They wear a mishmash of outfits in wildly contrasting hues and styles. Even in this staged setting there are standouts. Deryck Murray could be an extra from Superfly in his outrageous grey safari suit and bell-bottomed trousers; Joel Garner - standing at the rear with fast-bowling colleagues Andy Roberts and Michael Holding and wearing the ashen face of an undertaker - is draped in a more conventional, wide-lapelled beige number that could probably accommodate a thoroughbred. The players of some nations laugh and joke, but not the West Indians. With hands stuffed into the jacket pockets of his three-piece suit, Viv Richards looks sideways with a penetrative, unfriendly stare towards members of the English and Australian sides next to him. It's as though he's creating a mental checklist. Directly behind him, slightly obscured by his more famous team-mate, King looks towards the camera pensively. Most of his team-mates look either bored or vaguely agitated, but King's eyes are full of suspicion. He's not there for a holiday. "I worked around him while the fire raged." They are words you'd expect of the man standing at the opposite end from Viv Richards, not from the man himself. That flamethrower was King, who arrived at the crease with his side sat precariously at 99 for 4. Gordon Greenidge, Desmond Haynes, Alvin Kallicharran and Clive Lloyd were all gone and the advantage of the World Cup final was with England. By that point it didn't seem to matter that England had gone into the final a bowler short, on account of Bob Willis' crocked knee. Even without him, Mike Hendrick and Chris Old made short work of the West Indies top order. Once flighty allrounder King arrived at the crease, reckoned England wicketkeeper Bob Taylor later, "we thought we had one end open". There was no great hubris in England assuming King would depart as quickly as the men he replaced. Until that moment his international record was modest and he had struggled badly in an ill-starred stint with Glamorgan two seasons earlier, failing to register a century in 27 undistinguished first-class innings. He fared even worse in limited-overs games. Now, with his back to the wall as he takes guard to Ian Botham, King seizes upon some width and wallops a boundary through cover with a looping cut shot whose backlift borders on the counterintuitive. The seconds that follow say more than the shot itself; King charges down the wicket for a run as though even he's not convinced of his own powers. In doing so he almost rounds an unmoved Richards at the non-striker's end. Save your legs, Collis. There follows a stream of what David Frith called "violent strokes" - pure, crisp hitting when the mood begged for caution and consolidation. Steady and still, King thunderously swipes Graham Gooch's first ball to the fence at deep backward square-leg. There's a moment of luck too. With lunch due, King's wild hook from Botham flies over the cordon for four in what proves the only mishit of his innings. For all Botham's lament as he stands in the teapot pose, 125 for 4 at the break with a flaky customer like King swinging freely hardly seems cause for alarm. After lunch is when the game changes complexion. By then local West Indians clustered in the Mound stand have come into full voice, celebrating boundaries like Cup-winning goals and spilling onto the playing arena in jubilation. Those boundaries come a little easier against the assortment of part-timers - Wayne Larkins, Gooch and Geoffrey Boycott - who must bowl Willis' overs. Larkins in particular does little to escape infamy. In one over King belts him into the second tier of the Mound stand to bring up his half-century, sending the scoreboard attendants into a flap, then another to long-on. On that side of the ground in billowing flared trousers, West Indian fans are dancing with joy. Boycott is dispatched too, into the same section of the crowd. King is literally feeding them energy with each successive ball that flies in their direction. England were powerless. "I knew there was nothing more we could do," admits Brearley later. Not with the bowlers at his disposal anyway. By this point three figures are in sight for the man Richards called "Kingdom", but aiming one last blow towards the Mound he holes out to Derek Randall in the deep. Behind the Englishman the only figures seen celebrating are white ones. Richards follows him halfway to the pavilion, clapping one hand against his bat in appreciation. Seventy-seven minutes. Eighty-six runs from 66 deliveries. Ten boundaries. Three sixes. Collis King has lived for 23,000-odd days on this earth but none will be remembered like the 23rd of June, 1979. While King moved from 50 to 86, even the incandescent talent of Richards faded from view, lingering in the 90s throughout. Clive Lloyd later marvelled at King's hand. "By the time he was out," the West Indies captain said, "I knew the match was ours." Richards sensed it too. "What I just saw, I was going to finish." As he wandered back to the crease he sensed "a feeling of being revived". There are worse fates for cricketers than having their careers defined by greatness in a single game or for the duration of only one tournament. Suppose you failed to fulfil your potential at all, offered only forgettable performances or worse, only made a long-lasting impression with a game-changing blunder. Success in one notable instance can, though, obscure the greater truth of a career. For a decade Western Australian opener Mike Veletta was a disciplined grinder capable of monastic stays at the crease. His 262 in the 1986-87 Sheffield Shield final was almost tantric, a 776-minute exercise in concentration and delayed gratification. Outside of Australia, though, he's known almost exclusively for the helter-skelter 45 from 31 balls that tipped the 1987 World Cup final Australia's way (and an equally vital 48 in the semi-final). World Cups tend to produce those moments, making household names of even the most honest toilers. Mention Dipak Patel's name and most cricket fans will remember not the ten-year first-class career in England that preceded his life as an international - nor even the great majority of his decade-long career for New Zealand - but that the veteran offspinner briefly knocked the world of one-day cricket off its axis when he was deployed as an opening bowler during the Kiwis' thrilling 1992 World Cup campaign. The facts of the matter don't really come into it, and perhaps they even spoil the fun. Patel's 24 ODI games to that point had brought just 12 wickets at 53.66 apiece. His career-best figures (3 for 22) were already behind him. In the tournament itself he claimed just eight wickets in nine games and not only did he not open the bowling in every game, on one occasion when he did, it didn't actually pan out as well as you probably recall. Even in Patel's own team, Willie Watson and Gavin Larsen claimed more victims, but we don't remember either of them for doing so, not because we're idiots but because it's less fun. 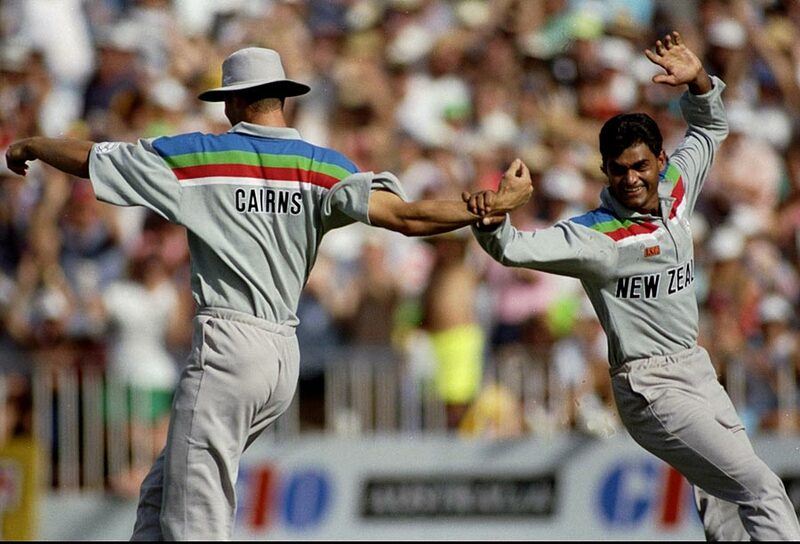 Patel was perhaps the greatest of a slew of cult heroes to emerge from the 1992 World Cup, so virtually any cricket fan over the age of 30 remembers his name and always will. Just as an earlier generation might remember the late Gary Gilmour. For a man whose international career was done before his 26th birthday, Gilmour packed in more than most. "Gilmour's wielding willow like an axe," went cricket's most famous advertising jingle, "C'mon Aussie C'mon". He did too. "I thought there's no way known you could pick the bat up as high as Gus did," said former team-mate Kerry O'Keefe to ESPNcricinfo, "and with serious intent smack it and not nick one." Along with his throwback approach to physical preparation, Gilmour's batting hurricanes and hooping left-arm swing brought him far more support from fans than from selectors. It also says something of his talent that he scorched the public consciousness so dramatically in just 20 international matches, 15 of which were Tests. The 6 for 14 that decimated England in the 1975 World Cup semi-final is remembered best, though he was no slouch in his sole Test century, in Christchurch two years later - 86 of his 101 came from boundaries. The six wickets against England were followed by 5 for 48 against West Indies in the final - a handsome pair of feats to count among just five one-day international appearances. In the semi, his run-a-ball 28 also helped Australia recover from 39 for 6 in pursuit of 94. He had carried the drinks in preliminary matches and none of his wickets were gimmes: four lbw, one bowled, one caught behind. "It was one of those days," Gilmour told Christian Ryan in 2003, "that happen once or twice in your lifetime." It wasn't subtle swing, either. From wide on the crease he had the ball boomeranging at angles England couldn't comprehend. Tony Greig was caught behind in front of what would have been second slip, the ball's flight path veering a good two pitch widths from right to left. No player looked more at home in the hairy, sweaty milieu of the Chappell era. That physical frailties were his undoing is understandable in hindsight. Gilmour was not the only victim of the homespun and often self-funded sports medicine practices of the era. He hobbled through his last international - the centenary Test of 1977 - after spending a full domestic season playing with a chunk of bone floating around in his foot. The only rotation policy in sight was to keep rolling your arm over. "He was at the front of the queue when they were handing out talent, but unfortunately he was right at the back of the queue when they handed out health and good luck," said Ian Chappell. Still, if he felt bitterness at being discarded while the light of greatness still flickered, Gilmour was also pragmatic about the changes to the game that loomed. "I couldn't play under today's conditions," he claimed, "what with the travelling and training and scientific aspects. It's not a sport anymore. It's like going to work. You know how some mornings you get up and don't want to go to work - that's how I'd feel playing cricket these days. I'd clock on for a sickie." In actual fact, just as it is always 1975 on the desk calendar of Gilmour, it is 1992 where Patel remains, forever 2007 for Dwayne Leverock, and 2003 for John Davison. They're frozen in time and all of them belong to us and to World Cup cricket. There are a few versions of the King story. There's the bittersweet one about a talented sportsman who made some bad decisions - decisions he should regret and around which words like "betrayal" uncomfortably swirl - and became an outcast and pariah, like his team-mates who also took the riches on offer to tour apartheid South Africa as a "rebel" side. There is another story that suggests King's talent had waned by that point anyway, and that besides his moment in the sun at Lord's, he never put his talents to sufficient use. In that variation, King's nomadic path through minor-league and exhibition cricket once his international career ended seems a bit tragic and desperate, almost demeaning. The truth, though, is that when the people stopped coming to see Collis King, he came to see them instead. For 15 years King, now 63, has turned out for Dunnington in the York & District Senior League, where he has now plundered in excess of 50 centuries using a 4lb bat that looks more like a fence post. He's also still giving it licks in those charity exhibitions and "masters" matches - as recently as his 56th year he was capable of launching a six onto the roof of the Hall and Griffith stand at Kensington Oval. But no one enjoys those games more than King himself. Cricket gave him that identity but he has also hung around and done the less glamorous stuff in clubland, coaching kids and sharing his knowledge and love of the game. "Cricket made me something in the world and it's good to give something back," he told the Sunday Times last July. He's been at Dunnington long enough now to have once passed on tips to a young Jonny Bairstow. In the meantime, most of King's contemporaries have settled into more leisurely routines, but he still retains the physique and thirst for runs of a man 30 years younger. Retirement is not in his plans either. To King the premature death of his close friend Sylvester Clarke is something to be sad about, not that his professional career didn't pan out like a fairy tale. He doesn't publicly regret the rebel tour and nothing that has transpired since has altered his relish for the game. He has suffered nothing like the fall from grace of his rebel contemporaries Richard Austin, David Murray and Herbert Chang, while also avoiding the isolation and ignominy that befell his captain Lawrence Rowe. King stands apart from all of them in a symbolic sense too, with his name now adorning the award for the West Indies domestic one-day competition's best allrounder. That's some kind of pariah. Why, though, this love for a man who never reached the heights expected of him and who many felt betrayed his homeland? Hints, perhaps, are found in the words of the man who stood at the other end as King wrote his name into cricketing lore. 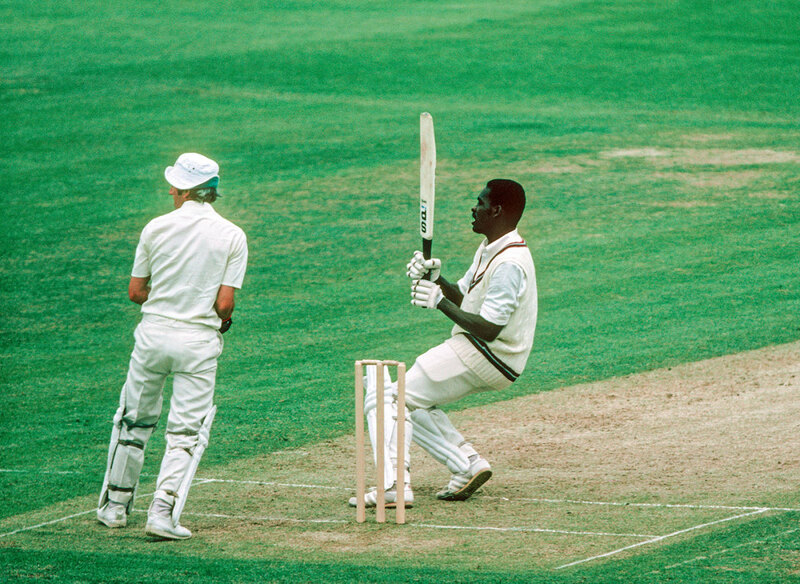 To Viv Richards, that 1979 World Cup final win was the turning point of West Indies cricket. Not a turning point, the turning point. "We knew," he said, "deep down, that we could beat anybody and that we had no reason at all to feel inferior". In that moment then, King was the guy. 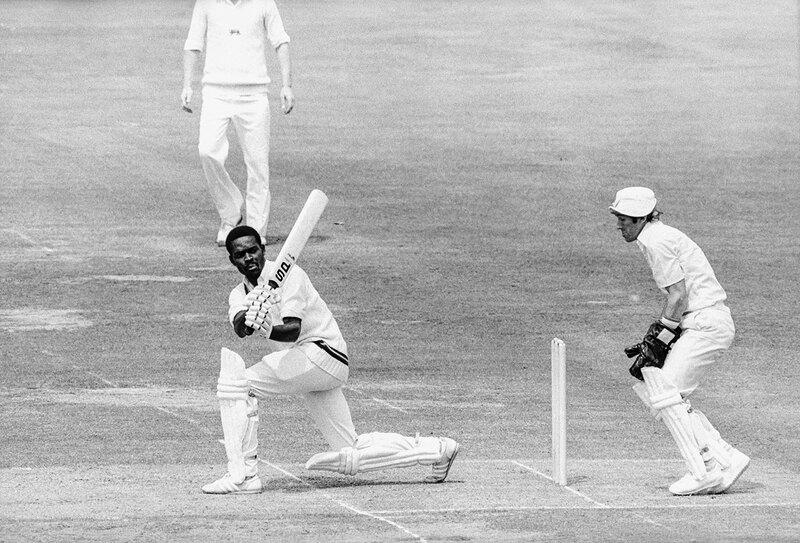 West Indies of 1979 weren't yet the most dominant team in cricket history, but next to legends like Lloyd, Richards, Greenidge and Holding, even virtual non-entities like King found that magic lay dormant. More familiar with having his status elevated by the men around him, King had outshone even Richards and dragged him along. How can you beat a team like that? King's gift to his team, to cricket and to himself was to shine for those brief hours when it meant the most. Not in a dead rubber or on a deserted county ground but in the final of the World Cup. There, even character actors can steal a scene from the leading man.